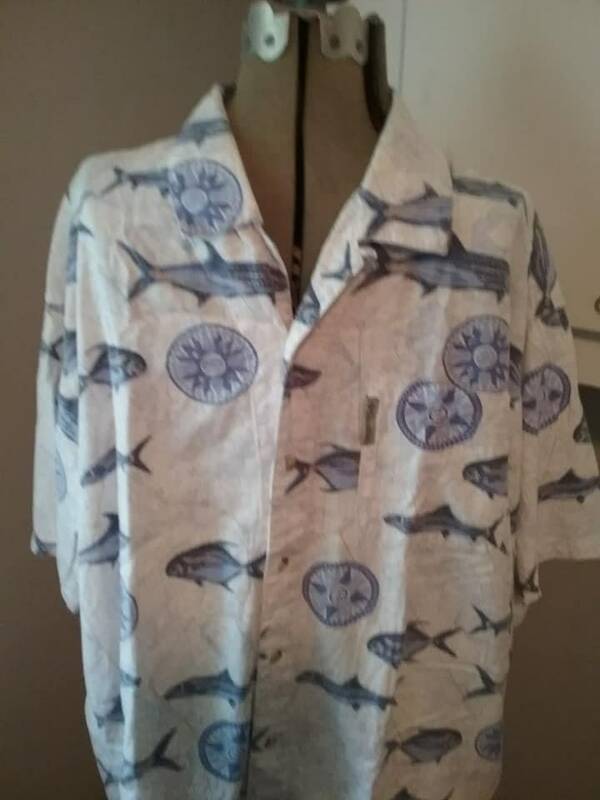 Men's short sleeve, buttoned sports shirt, in very good vintage condition. 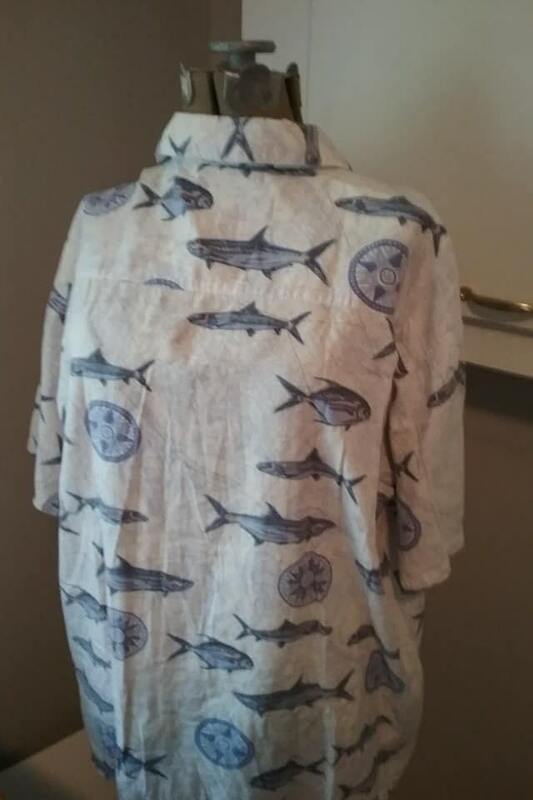 Made by Columbia Sportswear Company, is a cotton/rayon blend. 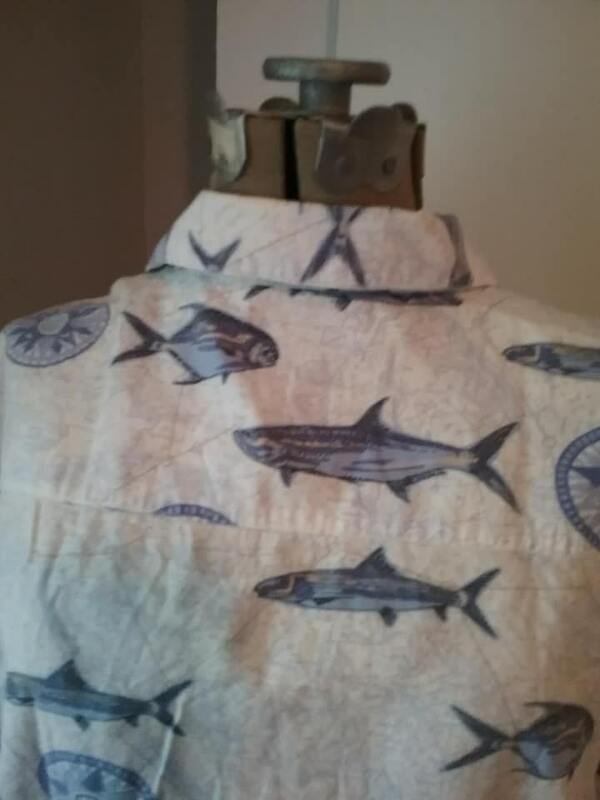 Approx measurements are pit to pit - 24", and length - 32". 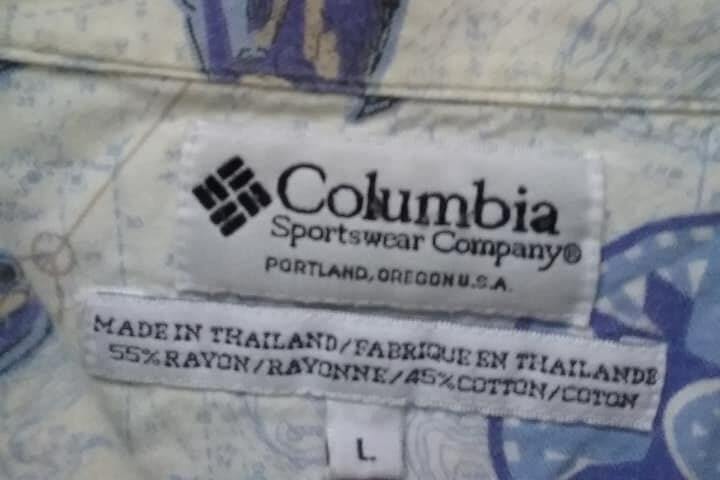 Columbia tag is on pocket. 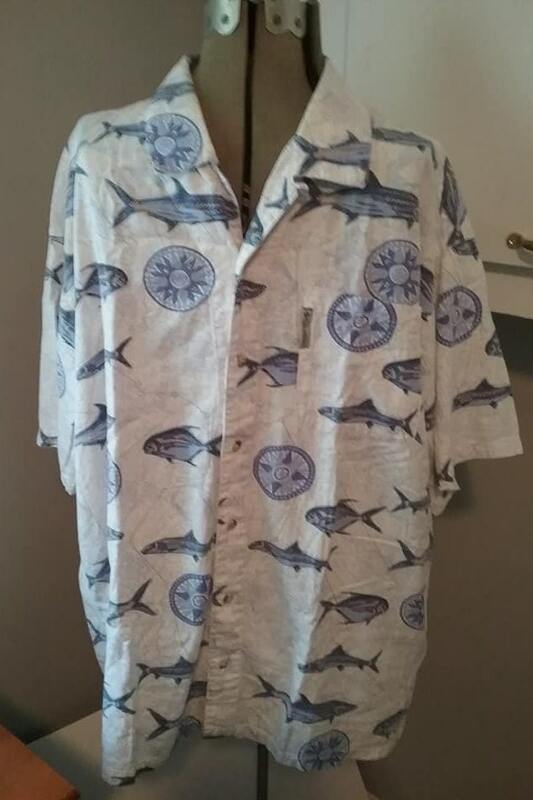 This handsome, soft shirt displays blue fish. 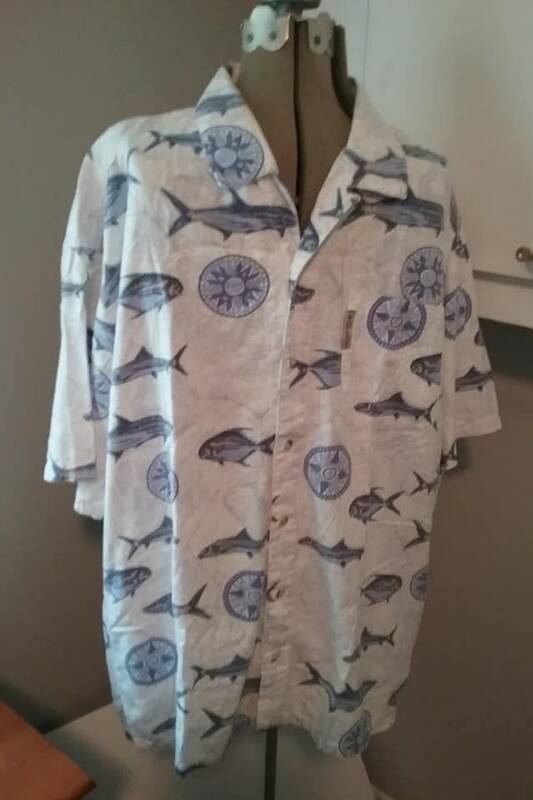 Whether for the tropical feel, or the fisherman in your life, this shirt is sure to be a "catch".